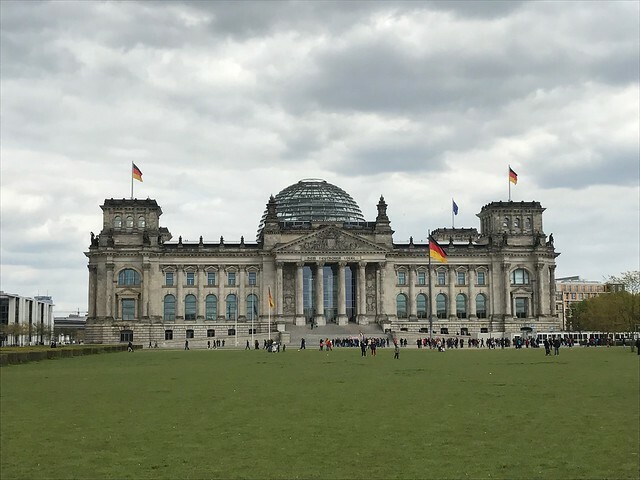 The past few days I’ve been travelling around Europe - through Amsterdam and Berlin. 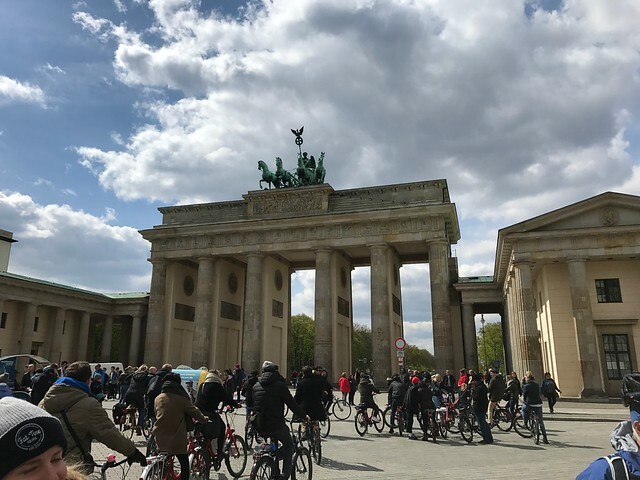 I decided to do the same cycle tour as I’d previously done when I was in Berlin two years ago. I’d done it before but I did enjoy it, and whilst the sights I would see again would be the same, I would have a different tour guide and therefore the tour would be slightly different. Eileen had also never seen the sights, so doing it with her would give us the chance to see things together. 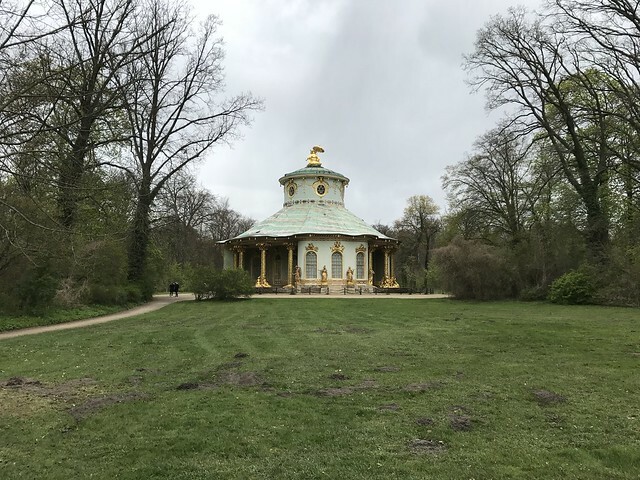 At the same time, we purchased tickets to do one of the other tours that the Fat Tire Bike company do, around the palaces of Potsdam. The ride around Berlin City was cold - I’d learned from my previous trip and had brought some gloves (getting a pair of these from Decathlon in The Hague earlier in the holiday), though the firm now offer some fancy gardening gloves for those that hadn’t come prepared. Mind, we hadn’t quite considered that it would be snowing in Berlin when we arrived, but the temperatures today were about 5℃ so it was still chilly. I didn’t get to many pictures this time around, mainly due to only taking my iPhone and the gloves not being able to operate the camera on the iPhone with them on. I did manage to get a few different photos however. 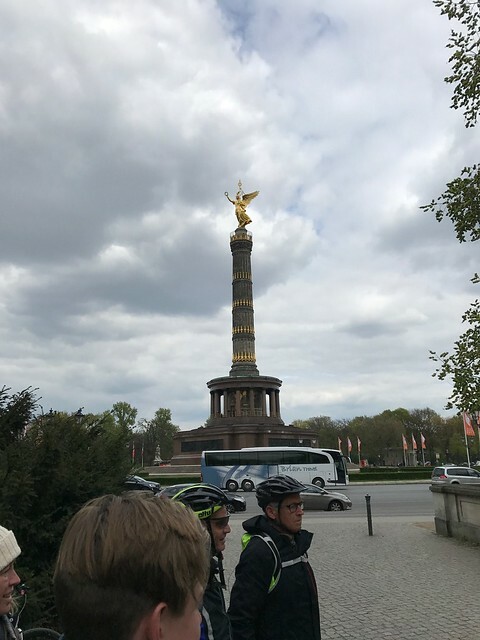 The route covered the main buildings in Berlin that you’d probably want to see whilst there as a tourist and some of the lesser known sights, all the while you get to hear some of the history of the city from your guide. 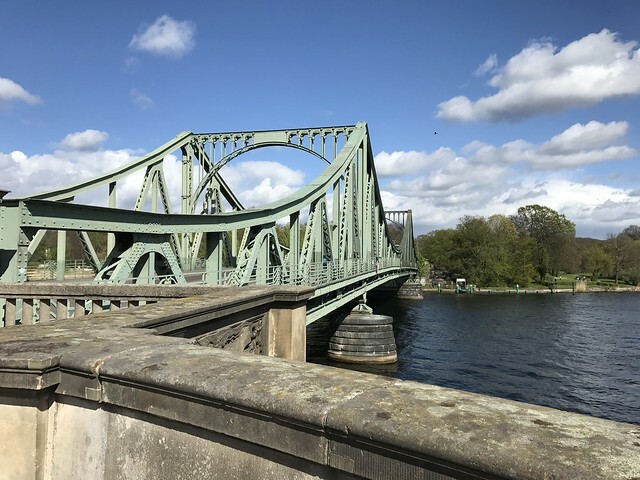 I wasn’t to aware of Potsdam, other than when I went through it on the train to Magdeburg that I saw it had some pretty fancy looking palaces and that I later discovered that it featured the Bridge of Spies, the Glienicker Brücke (Glienicke Bridge), where spies were transferred between the states of East and West Germany. Yet, cycling around the palace gardens was an inviting tour and getting to see the bridge itself would be good, especially as Id recently watched Bridge of Spies. The day itself was colder than the first tour and it was forecast rain - something that materialised just as we started the tour! Thankfully, it was a passing shower and it held off for the duration of the tour, only raining (briefly) when we were near the station and the end of the ride. 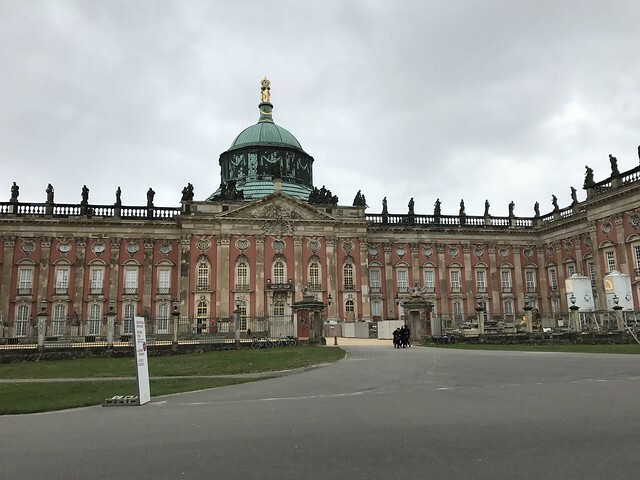 The ride took us around the palaces of the Prussian kings and the Kaiser. There were some impressive looking buildings there! We stopped for lunch in a traditional German restaurant - run by a German brewery (Augustiner-Brau) which turned out to be nicely placed on the tour that we could warm up after the mornings ride! Gloves and hats were a must - there was no snow, unlike the Wednesday when we arrived in Berlin but it was still cold! 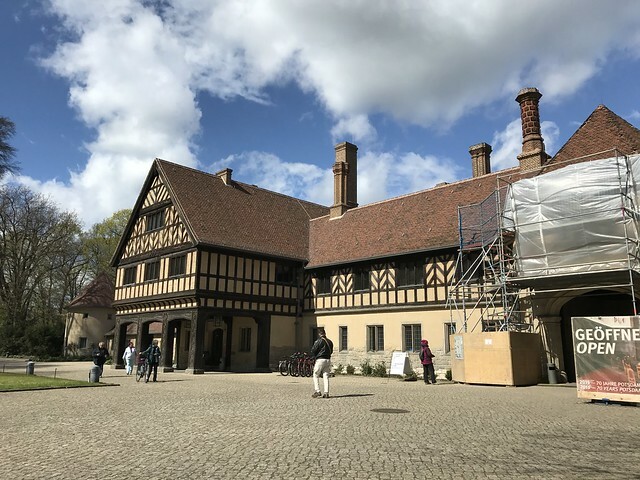 After the lunch and the stop at Cecilienhof Palace, we moved on to the Bridge of Spies. Overall, the ride was good and the rain held off. It was a bit longer than the Berlin one and the group was much smaller - I found that this was much better for speaking to the other members of the group, espeically at lunch where we were able to all sit together on the same table at lunch and therefore we were able to chat to each other. The ride was about the right length and was well organised by the guides. Id happily do another ride with them in a different country as they do have a few shops around the place.